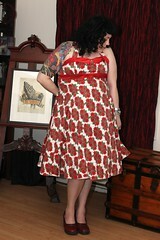 Every time I wear this dress I remember the moment I discovered it in a tiny shop in Edinburgh. 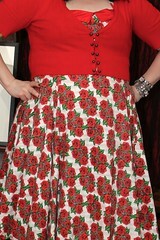 It was my first encounter with Collectif, a UK based retailer that offered plus sizes with their normal line. 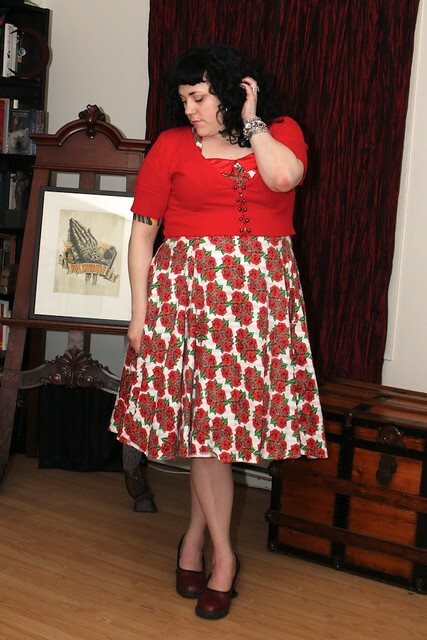 Sure, there are a few problems with the fit on me…and honestly I am not sure I like it paired with these particular shoes, but I adore this dress! It represents a defining moment for me style wise. I realized that there were people out there making clothes that I actually wanted to wear. This dress is what essentially made me take the plunge to trust online retailers and started buying my clothes from all around the world. Sure, I probably send back about half of what I buy and I lose money on it but it is worth it for me. Worth it for finding those few pieces that really help me cultivate a wardrobe that reflects my style. If retailers in Canada are not going to offer clothing I want to wear then I will gladly give my money to others that will.